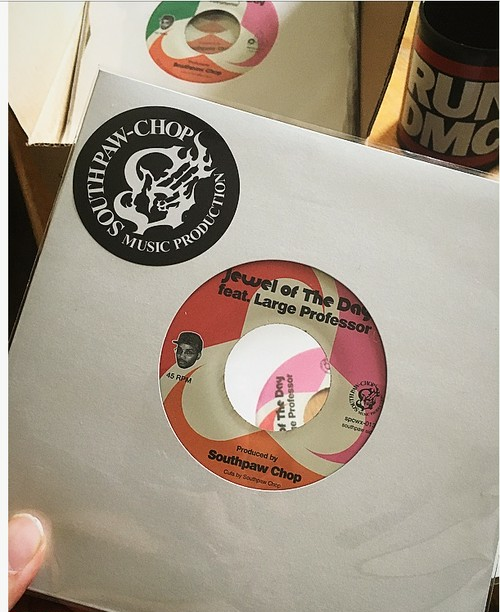 Southpaw Chopがスクラッチで紡ぐ、NasのLarge Pro.プロデュース曲"It Ain't Hard To Tell"、"Halftime"、"Radioactive"からの一連のワード・プレイにも象徴されているように、今回のキーワードは、ドープなライムやビート、そしてその閃きの意を持つ"Jewel"。Krs-One"Rappaz R. N. Dainja"調のホーンが波打つアグレッシヴで扇動的なフックから、ムーディーかつソウルフルなバースへと移る展開の妙と、名機MPC3000が刻む小気味良いファンク・ドラムの上で、Large Pro.が、その日一番の"Jewel"をシーンにお見舞いするぜとばかりに堅いライム・フロウで力強くスピットする、正にアンセムと呼ぶに相応しいパワフルで爽快な1曲!! 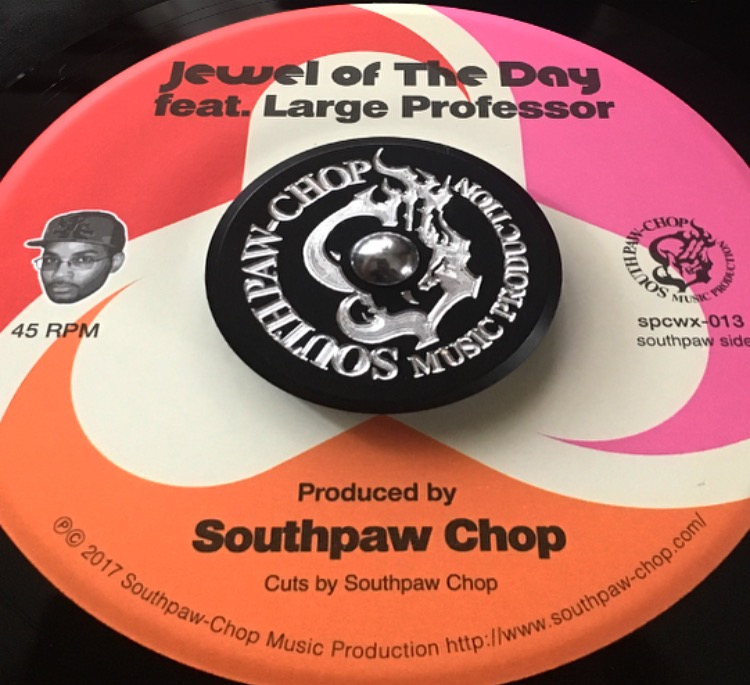 It's been 7 years since Southpaw Chop's debut EP "Never Stop Sampling" dropped in 2010, containing his first acclaimed collaboration with the legendary Large Professor, "Here We Go." 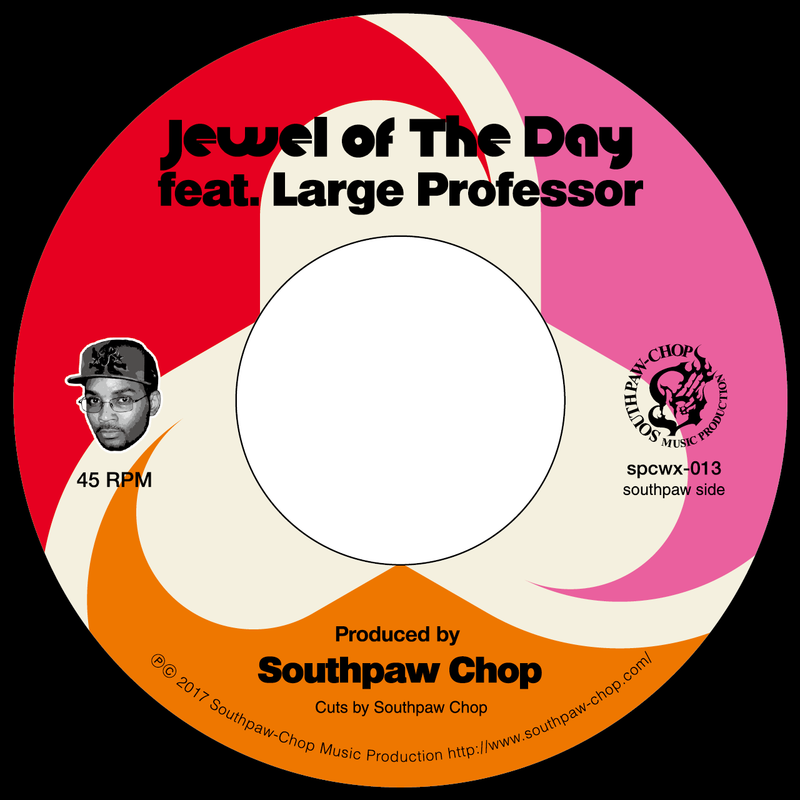 The two recombine forces on Southpaw Chop's latest 7" featuring Large Professor with another hit entitled "Jewel of the Day". 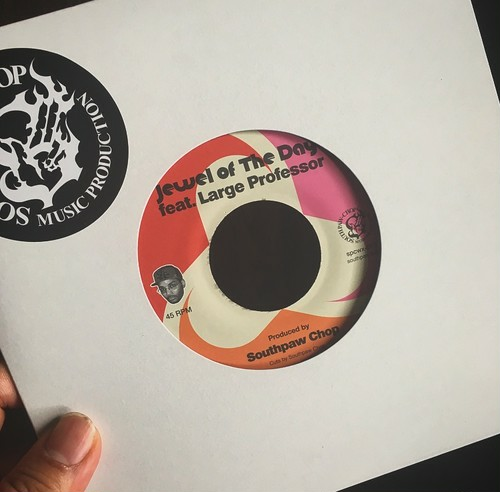 Large Pro is lyrically tight as ever, dropping jewels of insight throughout. True hip hop heads will appreciate his subtle wordplay, referencing classic lyrics of hip hip's golden era from Nas and other greats. Southpaw Chop masterfully rocks the MPC 3000, flipping classic funk drums and horns into a fresh yet timeless composition. The B side features an instrumental version for the listener to appreciate his production on its own. One of hip hop's greatest MCs alongside one of Japan's tightest producers. This release is mixed, mastered, and pressed in Tokyo. For the real heads, this is "The diamond, the gem, and the jewel."